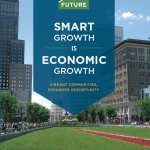 Redevelopment lies at the heart of the new State Strategic Plan, Lt. Gov. Kim Guadagno told a capacity audience at New Jersey Future’s eighth-annual Redevelopment Forum on March 9. 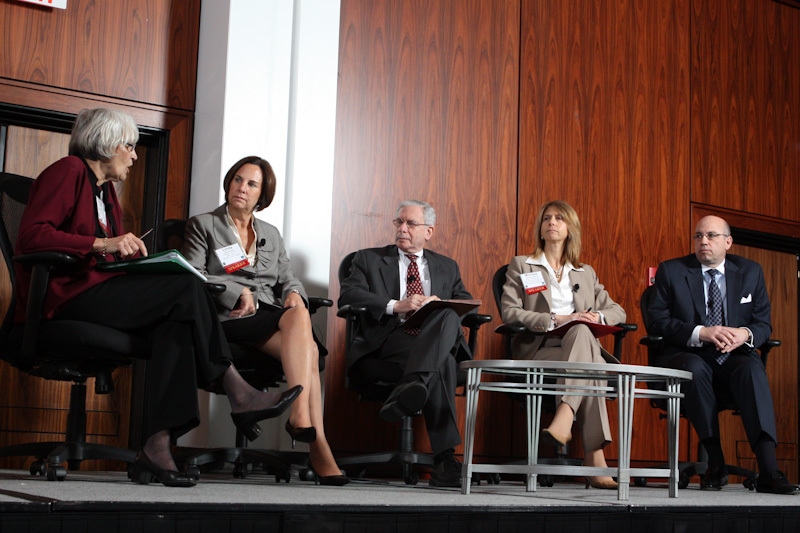 A panel of high-ranking state officials followed up in a plenary session with assurances that their agencies will be enthusiastic partners in the plan’s implementation. The “Garden State Values” enumerated in the State Strategic Plan lay out the smart-growth principles that will guide development and redevelopment in the future, she noted. “Concentrate development and mix uses; prioritize redevelopment, infill and existing infrastructure; increase job and business opportunities in Priority Growth Areas; create high-quality, livable places; provide transportation choice and efficient mobility of goods—who can disagree with these principles?” she asked rhetorically. “State agencies will work together to incentivize growth where there should be growth, and preserve where we should preserve,” Guadagno vowed. “The lieutenant governor’s office will ensure that all departments conform with the plan … [and] will align all their rules, regulations, interpretations and plans” with the State Strategic Plan. In the plenary session that followed the lieutenant governor’s speech, Transportation Commissioner Jim Simpson, Community Affairs Assistant Commissioner Charles Richman, Environmental Protection Assistant Commissioner Michele Siekerka and Business Action Center Acting Executive Director Linda Kellner described how their agencies will go about fulfilling the lieutenant governor’s commitment. “Transportation infrastructure money will go where the State Strategic Plan directs it,” DOT Commissioner Simpson declared. He said the plan’s emphasis on redevelopment will give the operation and maintenance of an efficient transportation system a higher priority than expansion. “Expansion isn’t always the answer to the problem of traffic congestion,” the transportation commissioner explained. “Simply putting another lane on Route 1 isn’t going to take us where we want to go. Assistant Community Affairs Commissioner Richman reported that recently appointed DCA Commissioner Richard Constable has already directed his department, even before implementation of the State Strategic Plan, to concentrate its resources on redevelopment and mixed-income development. He also cited new DCA regulations that will allow permits to be issued more immediately but with conditions, rather than having to wait for final approval—a step that should make redevelopment easier. The “number-one goal” at the DEP, Assistant Commissioner Siekerka said, is determining how to “marry up” the State Strategic Plan with “comprehensive regional environmental management plans.” This will involve taking important planning tools like regional Water Quality Management Plans and the state Water Supply Master Plan and linking them to the State Strategic Plan. Acting Executive Director Kellner’s Business Action Center is already actively engaged in putting together regulated businesses and state agencies, as well as involving local officials early in the process and directing companies to incentives that promote or facilitate redevelopment. She cited as an example the Bayer project in Hanover Township, where township and state officials worked with company representatives to select a redevelopment site for a regional corporate headquarters. She urged her colleagues, along with audience members involved in redevelopment, to “bring in the BAC early in the process” to identify state and local resources, as well as to help build community support for redevelopment projects. 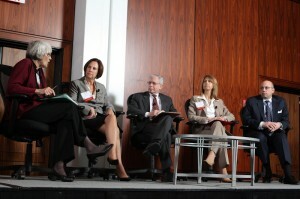 All of the panelists agreed with Lt. Gov. Guadagno’s assertion that the 41-page State Strategic Plan will succeed where the 350-page State Development and Redevelopment Plan failed—relying on state assets and incentives, rather than regulation, to drive development and redevelopment.